The housing market in San Antonio in 2016 was hot as home prices went to the highest levels ever. The local paper reported that 29,508 homes were sold, which was more than an eight percent increase from 2015. The median price for San Antonio real estate increased six percent to $204,300. This was the very first time that the median sales price had been over $200,000 for an entire year, including the real estate boom years of a decade ago. Also, the inventory of homes that are available dropped in December 2016 to only three months. this indicates there are more buyers than sellers in San Antonio. So what does this mean for San Antonio real estate investors? Well in my experience, it means that real estate prices are going up, and buying homes for many people in San Antonio is becoming more difficult. For people who earn a good income of course, the homes in San Antonio are very reasonable. But for people who earn $3000 per month and don’t have credit, buying a home with conventional financing is very difficult. That is the reason I focus my San Antonio investment strategy on owner financing. Exit Strategy: Owner Finance with 5k in repairs: 5Kdown payment, $695.00 monthly PI/TI, 30 year amortization, 10% interest, Sales Price: 69K, see attached sold/rental comparables. 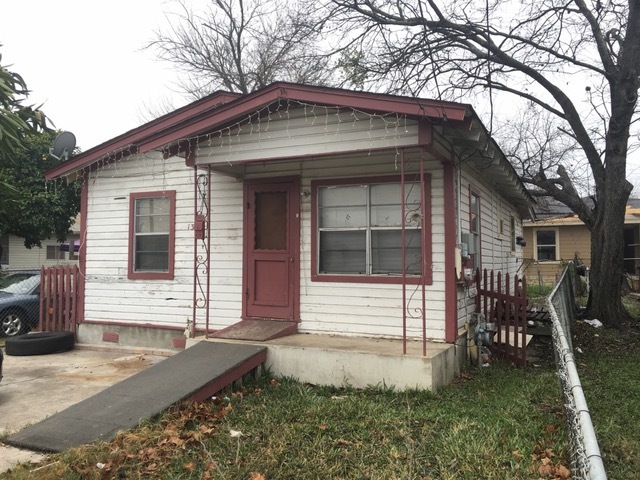 This property is only $42k cash, and with $5k in repairs, you can sell this with owner financing (you’re the bank), to a family with job and income but no credit. The major advantages of this type of deal are that you do not have repair expenses ongoing. Also, you can limit your initial out of pocket costs. If you were to rent this house out, you would have to do $20,000 in repairs, not $5000. Owner financed homes is the backbone of my real estate investment portfolio in San Antonio. Each home earns at least 10% ROI with no expenses. This type of buy and hold investing helps to support the working families of San Antonio as well, so it is a win win. Previous PostPrevious Want to Finance Your San Antonio Investment Properties?